JS Crux - pattern from the original game design studio JoomShaper for sites running on Joomla 2.5. Professional design pattern is presented in six design styles with a choice of light or dark versions of design appearance. 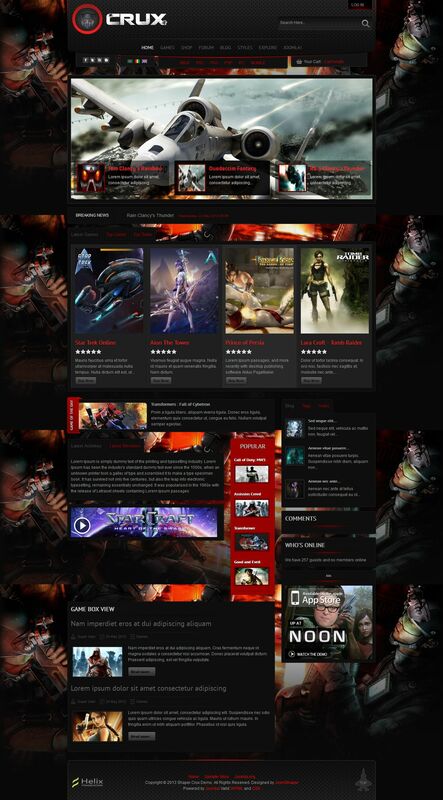 This template is perfect for the development of gaming portals, news sites with reviews of the gaming industry and the various communities of players. Flexible functionality template expressed full support for third-party extensions: K2, Virtuemart, Kunena and JomSocial. The modular design of the layout contains more than 60 positions, providing a flexible arrangement of all elements on the site.